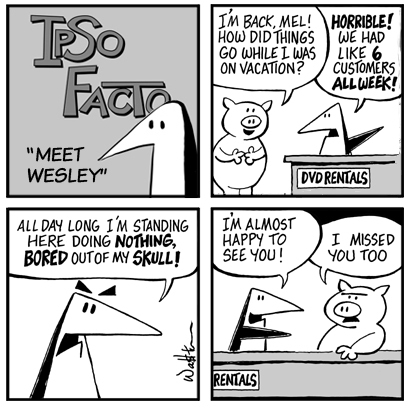 Ipso Facto is a comic about one of the last remaining video stores in the country. 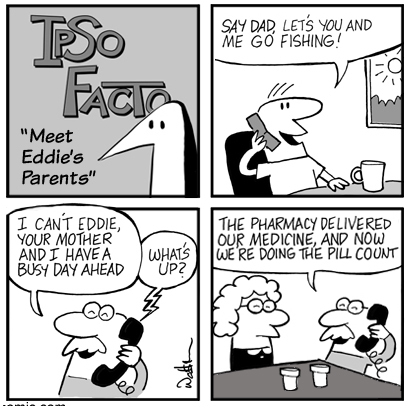 The owner is Eddie, and you will meet his employees, his parents, and even his goldfish. 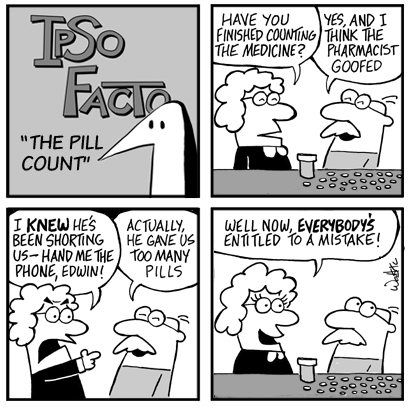 You'e seeing a reboot of my old web comic that for various reasons was suspended years ago. 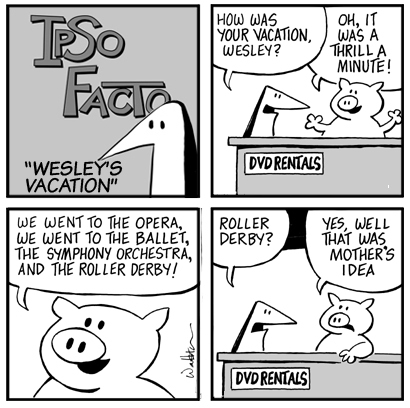 I've recently begun new strips, and you will see those after the original run is finished.